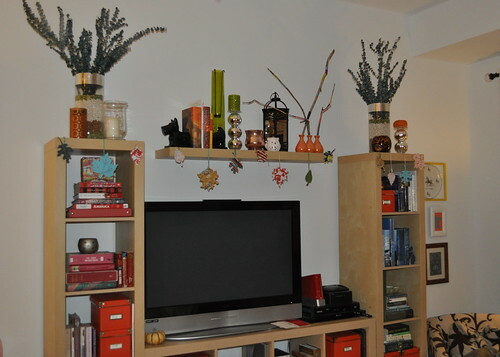 Since I really loved the idea of the leaves, I decided I would try to make a garland replicating that shape that I could hang on the shelves over my TV and desk area. When I went to Hancock Fabrics - the nearest craft store - I quickly realized that I wasn't going to find the felt colors that I wanted. 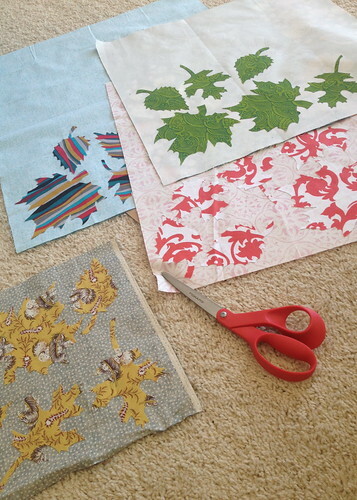 So, I went rogue and picked some fabrics that I thought would work well with my fall color palette. 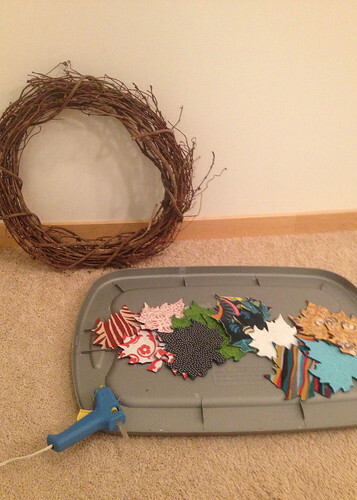 Since I was already complicating things by choosing fabric over felt, I basically decided to embark upon making this garland as complicated as possible. 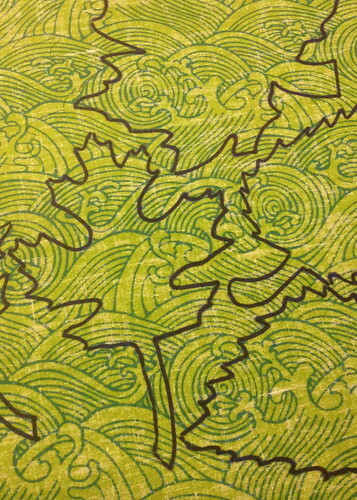 I started with tracing leaf shapes onto the wrong side of one fabric. 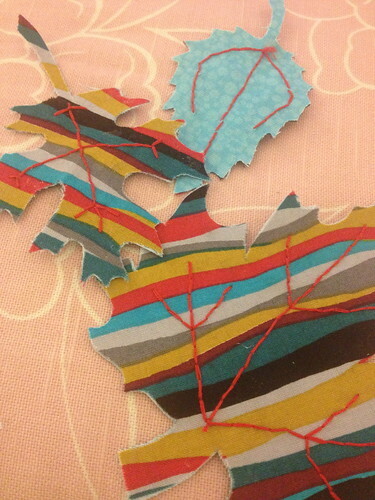 Then I cut those leaves out, and glued them another piece of material. 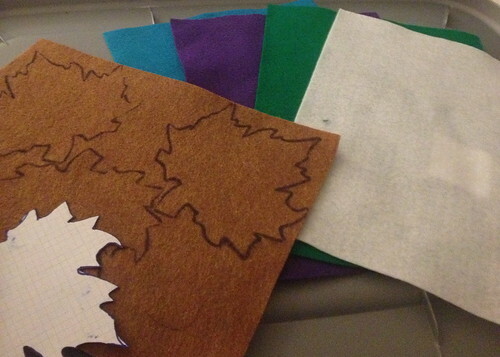 Because my leaves were too special to have the same fabric on both sides. Notice that I did not try to dumb down my leaf shapes. No way jose. I picked the most detailed shapes I could find on the interwebs because I like things good and intricate. Just to reiterate, under this system, I cut the 30 leaf outlines...twice. Talk about a raging case of claw hand. Oh you think those leaves are done? Didn't you know that leaves have veins? Veins that I decided to incorporate by hand stitching them on with embroidery thread. 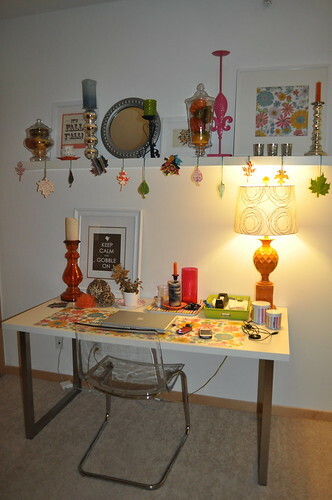 Of course, after all this, I realized that the garland as I'd designed it wasn't going to hang the way I wanted it to. So, this is what I came up with to try to mimic a swag like shape without spending any more time working on the garland. Notice the new Emma bookends I found on sale at Tar-jay. Five dolla holla! It was like a lightbulb went off when I came up with the idea to use the leftover fabric and felt to make more leaves for the wreath. Although, it may come as no surprise that I wanted this to be simpler than the last time. 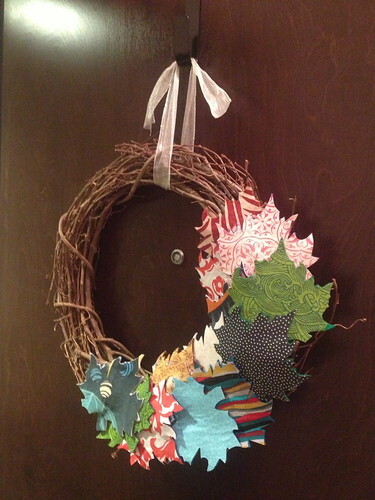 I like to become more efficient with my crafting. This time, I started by tracing the shape onto the felt. I chose my favorite shape and the one closest to the inspiration photo because I really wanted to keep that same look. Then I glued the fabric on top with Fabric Tac. 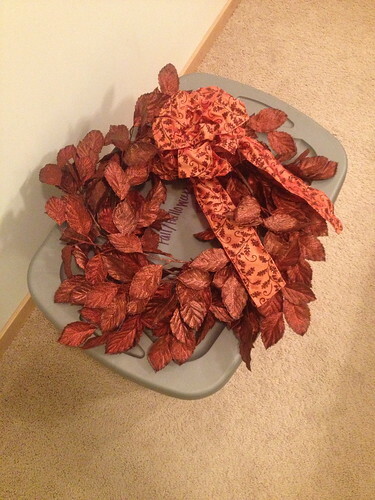 I would like to point out that in the process of making all these leaves I have now used an entire bottle of Fabric Tac - which is a pretty major crafting accomplishment. Under this new system I only had to cut the leaf shape once for each one. Which means that instead of working on this project over the course of a few days, I started and finished it in the same night. It was also faster because I decided that these leaves didn't need veins. The fabric kept them pretty enough. Plus, I'm lazy, so there's that. I may or may not have opened my door a few times last night just to look at it. 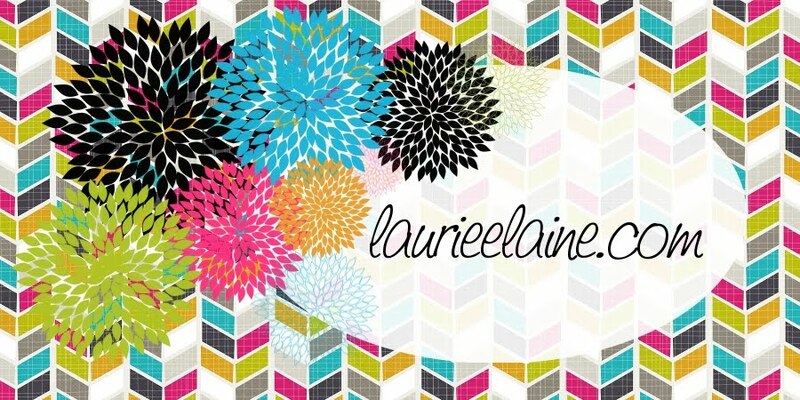 I love all the different fabrics! You are so creative! !